According to the Webster dictionary, biomechanics is the science concerned with the external and internal forces within the body. In layman’s term, it is the science of the movement of the living body. Biomechanics can also explain how incorrect riding and training method can affect the horses. It is very important that the riders know the significance of understanding how their aids can directly affect the horses physically. These incorrect aids can affect the horses in many ways and will make them unable to perform well during training. Incorrect use of aids might also affect the horses long term and might lead to serious illness and even different behavior. 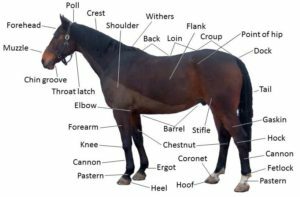 Understanding the biomechanics of horses would not only make sure a proper way to get them healthy, but will also help you to have a deeper understanding about horses. The position and the length of the horses’ neck directly affect the horses’ back. So, if the neck is not placed correctly, or the length is unnatural, it could lead to problems. First thing that you need to fully understand is that horses are not designed naturally to be ridden. Take for instance the first time you ride a young horse, it will try to arch its back into spasm and buck. Once the horse relaxes, it will drop its back and carry the rider without the support of its back muscle which can cause serious damage to the horse. Although, some horses can actually cope up by carrying the rider this way for their entire lifespan, but this is a hindrance for the horse to reach its maximum potential and will never be able to perform in its highest level. This is exactly the reason why the horse needs to undergo training. So that the horse can be trained to use its back muscle in a correct way so they will have more strength. 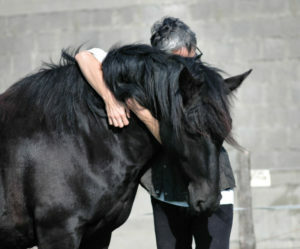 The trainer trains the horses as if it was a person that they are dealing with. They have to be there to make sure that the horse gets encouragement and eventually be able to use his muscles in a proper way. Now, you also have to understand that building and strengthening the muscles isn’t an overnight thing, it takes time, effort, and more practice. The training has to be just enough not to overdo them, because this might cause injuries for the horse, and might cause more resistance. That is the reason why it is important to understand the anatomy of the horse, to make sure that you hit the goal. According to Chris Bartle, a British dressage rider and trainer, the key to performance in the sport horse is the back. The goal of training is to strengthen the bridge between the forehand and the hindquarters of the horse. This would allow the power to the hindquarters to flow naturally without any interruptions. It is very important to understand the biomechanics of horses to achieve success in athleticism. Have as much knowledge as possible, there are a lot of guide books that can help you understand the biomechanics of horses in a very simple way. In coordination with the topics discussed the United Medical Education was able to help us conduct more training to help more clients and improve the health of the horses. United Medical Education provides insights and training for medical providers that need online ACLS, PALS, and BLS certification. Their online ACLS recertification course is especially applicable to horse jockeys who are seriously injured in a race. Horse racing is a physically demanding sport. Because of the large volume of people attending these events and the stress placed on the jockeys and the horses, having healthcare providers on hand that are trained in online ACLS is essential. One of the most effective ways of addressing therapeutic human needs is by equine therapy. 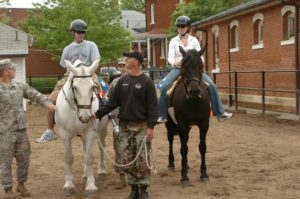 The therapy involves interaction with horses with the help of an equine therapist. Through these interactions, clients are able to unravel and explore certain patterns of behavior in relationships that had become a problem for them. The intimidating appeal and sizes of these animals can help bring up certain emotions that had been buried in the past that can help bring resolution into the main problem of the pattern. The patterns are being identified and allow the therapists to create activities and exercises that can help with these patterns. Through interacting with animals as huge as a horse, the client is exposed in an environment wherein he could be vulnerable, and allows psychological repair. Psychological issues such as, trauma and histories of total rejection, lack of self-assurance or confusion of self identity, and including unmet needs for attention and love, even personality disorders and addiction. These are just some of the issues that equine therapy can actually address during the therapy sessions. A very definite example could be a person who has experienced trauma and was exposed in an abusive environment might be able to cope up and can think big of himself and later on realize the feel and need of being respected when the moment they can get the horse follow their direction. The person could feel a sense of security and safety every time they can have the horse move towards them and even away from them. 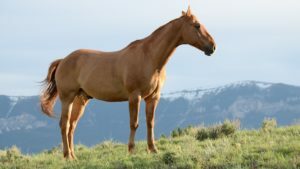 The clients can also learn about the horse’s psychology and can explore the connection and a bit of similarity in human dynamics. For instance, herd-bound horses are the types that might show emotional distress when separated from the rest of the horses. Being aware of this dynamics will allow clients to understand and point them into an issue in their lives, such as separation anxiety, emotional dependence, or how they react into the same situations in their life. Through the therapy, clients are able to see in a different perspective allowing them to explore possibilities. It will enable them to take the necessary steps to take risks in their personal relationships and interaction with others. They can now tap into their fears and even connect to their real emotions and needs. An equine therapist will be able to guide them with this throughout the process to find the meaning in their communication or interaction with the horses. The therapy will definitely help them develop interactive skills, positive outcome about life, respect for the diversity of life, recovery in traumas or addiction, the significance of community, better way of communicating, self worth and respect for life, the value of trusting other people, the sense of commitment, and even fixing broken relationships, and a lot more that they can discover about themselves. There are so many clubs and health practitioners that offer this kind of therapy; you can try learning more about it. If you find it interesting and you think this could possibly help you then go for it. Communication is a common factor and a basic behavior in any animal species. However, humans have a specific language, a unique system, and this separates humans among all other animals. How people interact with animals is what experts call as human-animal communication. Either through body language or non-verbal cues and verbal communication at one way or another, there is a common ground in which humans can communicate to animals. It is safe to say that everyone can definitely connect to all living beings. There is a deeper meaning between humans and animals communication. Humans can learn so much from animals and how they can co-exist with all the other animals. Just like human communication, communicating with animals is also a two way process. There is a receiver and a sender. Humans can communicate with animals using telepathy. It can be through using your gut or intuition. This can also be a real connection between the two to communicate properly. Connection telepathy is a skill that you can master. When an animal and a human being are given the proper training, they can easily communicate with each other. Again, everyone has the ability to communicate with animals; it’s just a matter of learning the skills and mastering it by practicing. There are different claims and arguments about the science of telepathy and if it is really proven that humans can indeed interact with each other. Some view telepathy as an extension of our five senses- a tuned communication of energy, including thoughts and feelings through extended sensing. Others argue that telepathy is more like radio waves can’t be seen but can definitely be perceived. If you want to try communicating with animals you can try to let the sense of communication unfold the meaning by itself. Don’t try to over analyze and just accept what you get. For instance, if you own a pet either a dog, a horse or any other animal you have to build the connection first and try some few things on how you communicate with them. You can either call them by names or give them order, and you have to repeatedly do that, we all know it is proven that in no time animals will react to it and they will eventually know it is there name. So whenever they hear you mention the name, they immediately respond as if they understand that you are calling them. Over time, as the bond grow deeper and closer not only will you be able to give them instructions they will follow, but they would also be able to relate to you even in the emotional level. Just like how some claims that almost automatically it was as if, their pets knew when their sad or happy. Animal communication with humans is still a vague idea and experts are still digging deeper into the science behind it. One thing that we need to remember is that we all have our ways of communicating. Understanding and respecting every living creature are still the basics of communication. Learning how to treat horses humanely while still having them complete competitively is a challenge in the horse racing world. Making sure both the horses and the jockeys are in top physical and mental condition is critical to their success. Most trainers recognize this and spare no expense when it comes to having ACLS certified medical staff on hand. Generally these doctors and nurses trained in ACLS online recertification can keep a close eye on the physical demands of the horses and jockeys and recognize when intervention should take place. The horse is one of the sub species of Equus ferus. It was around 4000 B.C. that humans started to domesticate horses. They were trained for combats and even competitions. Domesticating horses also means taking care of them. Just like all the other animals there is, horses also needs to be looked after. There is so much about horses that needs to be learned. It could range from the everyday maintenance care, to its grooming, dental, and internal health. Taking care of your horse also means that you have to choose the right food for them to eat including vitamin intakes. There are more to it in keeping them healthy. Horses can somehow be complex. You have to regularly check for colic and digestive problems, including leg or foot issues, it’s also important that they have regular vaccine and deworming. These things will keep them totally fit. Like all of us in the animal kingdom, horses can also be affected by weather issues. So you have to make sure that they have proper houses and are fed well. Improper housing may lead to sprains and soreness of the back which may bring the horses pain. When illness strikes or when a horse is in pain it will affect how they move and even how they feel. Healthy horses move freely and are happier than those that aren’t feeling better. 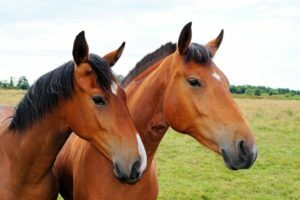 How do you know if your horse is sick? Like humans, some injuries or illness can be recognized by the change in mood. 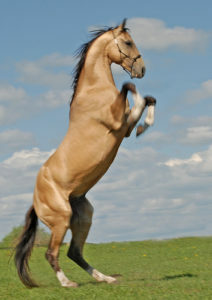 The healthy horses tend to be normally jolly and very playful and do not make it hard for you to train. When in sickness the normal behavior might alter, the horse might become moody or won’t even cooperate. These are the factors that you might want to check. The mood might change first even before the illness or the injury appears physically. Many things in the horses’ environment could affect their health and might cause allergies. Under normal and healthy environment, the horses are still exposed to dusts and molds. 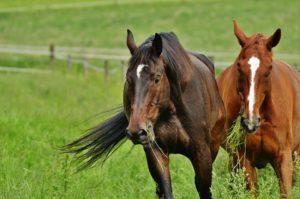 Even in the pastures, horses can also get allergies from the proteins that they eat. So it cannot really be avoided even if horses can fight some allergies by having a healthy immune system, it does not apply in general. The truth is, horses can also get allergies, while some can change their moods when not feeling well. A horse can have many different symptoms when experiencing allergies. Teary-eyed and coughing are the most common symptoms of allergy. Because there isn’t really a sure way to find out what is the real cause of an allergy or if your horse is suffering from an allergy or an illness. If any of these symptoms happens, the best approach is to immediately have the horse check by a veterinarian. Experts can tell you the specific condition of the horse and can also recommend proper ways to cure the illness. It is also best that you have some knowledge about horses before you even think of having one for yourself.